Reid and Riege’s Commercial Leasing Group represents landlords and tenants in various real estate leasing matters, including office, industrial, retail, bond, build-to-suit and ground lease transactions throughout the United States. 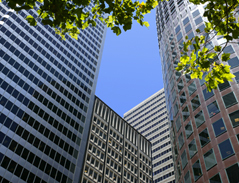 The Group has a nationally recognized practice with experienced attorneys whose primary focus is to assist developers, landlords and tenants with the due diligence, drafting and negotiation of lease agreements and all ancillary documents, including non-disturbance agreements, estoppels, broker contracts, letters of intent and facility management contracts. We take a proactive approach to advance our clients’ business strategies and help manage their risk. We understand the process involved in a lease transaction and work with clients to coordinate the same in order to structure the deal from letter of intent to commencement of construction, ensuring that the broker, engineer, architect, general contractor and client communicate to reduce time, eliminate potential problems and increase efficiencies. We also understand the significance a lease imposes on clients and the risks and time constraints involved. We take a practical approach in order to keep costs to a minimum while providing effective representation and advocacy. The Group’s attorneys are active participants in numerous national and local legal associations and real estate trade groups, including CoreNet Global, the International Council of Shopping Centers (ICSC), the International Association of Attorneys and Executives in Corporate Real Estate (AECRE), the National Retail Tenants Association (NRTA) and the U.S. Green Building Council.